During the 8-day journey, you will be lucky enough to cruise the icy strait of Alaska, stop in the Capital and even make a stop in Canada. Below are the ports of call, and exciting features. Cruises departing from Seattle are your ticket to some of the most breathtaking scenery on Earth — they’ll take you straight to Alaska! But there is plenty to see before or after your cruise, too. Carnival cruises from Seattle dock at the gates of the “Emerald City.” Set on Puget Sound in the shadow of Mt. 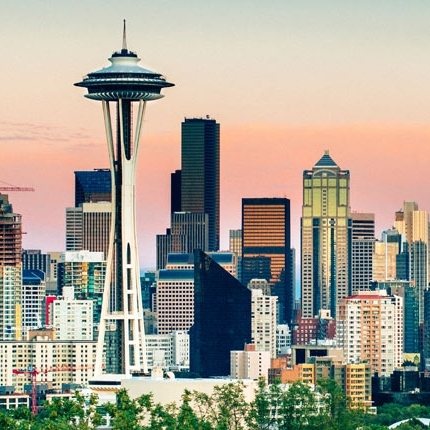 Rainer, Seattle’s stunning waterfront can be found curving past skyscrapers, historic neighborhoods, important museums, and the lush, rolling parks that give the city its green nickname. Astounding ice-capped mountains welcome the cruising traveler to Juneau. 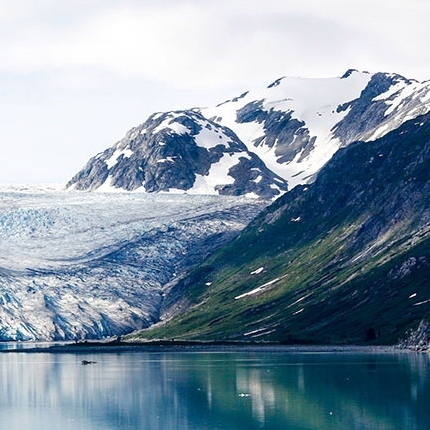 Alaska is called the Land of the Midnight Sun, and its capital shines with a wide selection of delicious dining and native Alaskan art shopping. 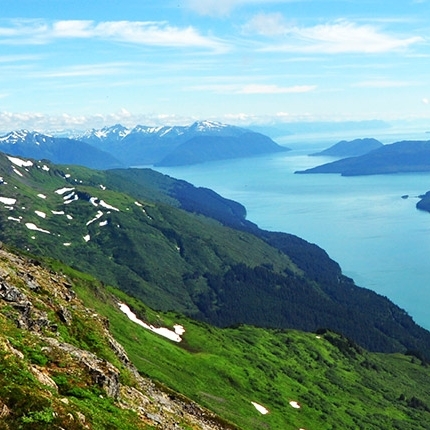 But Juneau isn’t just a fun name to say, you know — Carnival cruises to Juneau transport you to one of the most beautiful capital cities in America, with once-in-a-lifetime shore excursions that include walking on glaciers, whale watching, and hikes through the country’s last old-growth forests. Walk in the footsteps of pioneers and profiteers on Carnival cruises to Skagway. Gold seekers stampeded to the Klondike more than 100 years ago and built Skagway, Alaska as their lawless outpost of brothels, saloons, and gambling dens. Today, the town is more of a time capsule from the past, with carefully preserved buildings and streets brimming with history. 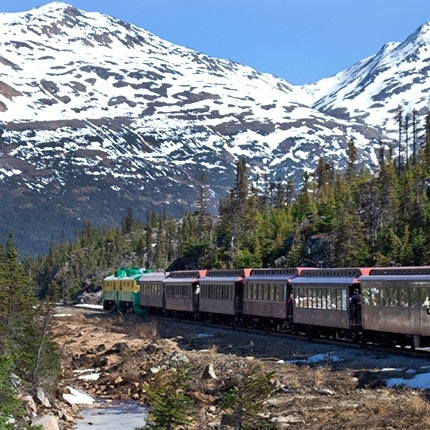 Live the final chapter of America’s Wild West era on a Skagway cruise. A destination eons in the making, Glacier Bay’s pristine landscape makes it one of the top spots on an Alaska traveler’s must-see list. Your Glacier Bay cruise takes you through this protected national park spread across 3.2 million acres of southeast Alaska… home to 15 active glaciers, countless seabirds, otters and humpback whales. And a Carnival Alaska cruise is the best way to get right in the middle of it! Icy Strait Point is a sight, alright, for eyes that hunger for the greens of the dense Tongass Forest, the azure waters of Port Frederick, and the spot where these come together. Make landfall here and find yourself in Hoonah, where the native Huna Tlingit tribe have lived for thousands of years. Not quite as old — only about 100 years young — are remnants of the local cannery, a symbol of the industry that put this area on modern maps. For more than 100 years, Ketchikan, Alaska has been the gateway to the North. Ketchikan cruises dock along the famed historic waterfront. 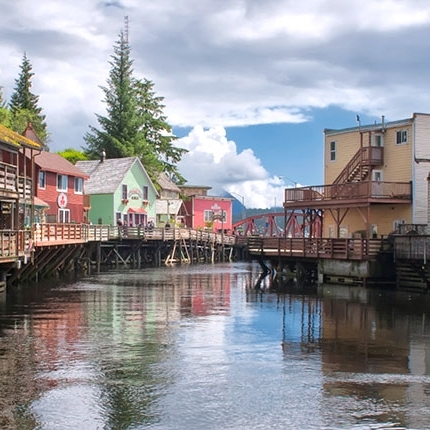 Check out the flourishing art scene and spectacular totem poles that have transformed this former frontier town into a popular southern Alaskan port of call. Experience the sights, atmosphere and excitement of the Last Frontier as soon as you cross the Alaska border on Carnival cruises to Ketchikan. Carnival cruises to Victoria, British Columbia call on this genteel provincial capital, which you’ll find perched on the southern tip of Vancouver Island. Packed with reminders of its rich British heritage, Victoria is fronted by water, filled with gardens, and backed by mountains. All the finest sights on Victoria cruises are clustered around the Inner Harbour, from a world-class museum to scenic waterfront parks… plus a deliciously decadent setting for afternoon tea. Want to take the stress out of planning what to do at the ports of call? Call today and we can help book the perfect shore excursion for you, whether its dog sledding in Juneau, or taking a fishing trip in Ketchikan, their is something for everyone. This excursion combines the exhilarating experience of a glacier helicopter flight with the operating of a dogsled to make your visit a true Alaskan adventure. On this Juneau shore excursion you will fly over the lush rainforest, deep blue crevasses and glacier carved peaks. Enjoy a spectacular flightseeing tour en route to the dogsled camp on the Mendenhall Glacier. Drive the Alaskan sled dogs team or relax in the sled as you take in the awe-inspiring scenery. Talk with the mushers and take pictures with the dogs and puppies before your helicopter takes you back to civilization. NOTE: Due to weight, balance and capacity restrictions, guests weighing over 250 lbs. will be required to purchase 2 seats (1½ tickets) on this excursion. You may acquire the second ½ ticket/seat by contacting: shoreexcursions@carnival.com, with your booking #, after making your initial online purchase. Whale sightings are guaranteed on this personalized, small group whale watching tour, which combines marine exploration with scientific research, interpretation and discovery. Once you’re in Juneau, get ready to discover Alaska’s whales as you take a short drive with your naturalist science guide and prepare to board a safari vessel on your whale watching quest. You’ll soon learn why this Alaskan shore excursion is a cut above the rest, as you gather scientific research while enjoying the antics and displays of the Juneau wildlife. Custom-built vessels provide a comfortable heated cabin, large opening panel windows, and an open bow perfect for your whale watching. Your group will discover Alaska by learning about the smallest plants and animals in the ocean and how these support the ecosystem as a whole. You will attempt to track and record the behaviors pertaining to various marine animals—including, of course, humpback whales. In addition to an amazing tour experience, you will have the satisfaction of knowing your efforts made a contribution towards safeguarding and deepening our understanding of the delicate marine environments of Juneau and Southeast Alaska. In other words, this may be the most feel-good shore excursion during your cruise to Alaska. One to remember for years to come. 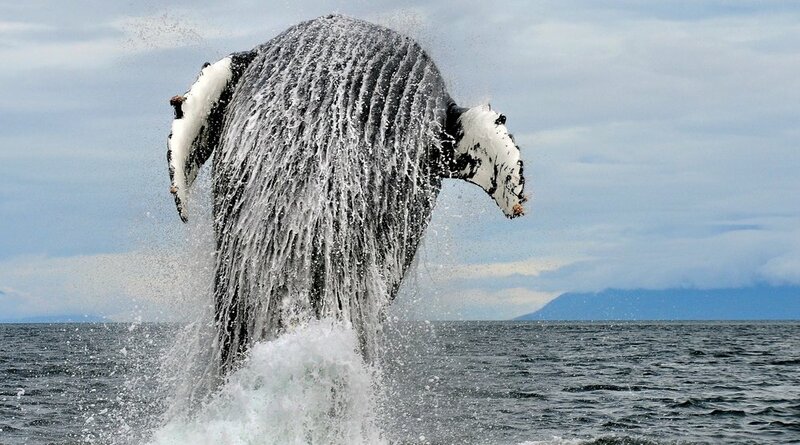 Receive a $100 refund if whales are not sighted on the trip. Binoculars, maps and a whale ID book are provided on the vessel. Board a deluxe, waterjet-powered catamaran that has pulls alongside the Carnival Legend in the waters of Tracy Arm. Discover many wonders around each bend of this serpentine, 30-mile fjord. Listen to the onboard Naturalist who will inform you about the area. Trace the bases of cliffs that rise 4000-feet above the jade-colored sea. Enjoy an up close view of Sawyer Glacier, with frequent stops to view wildlife. Hear the “white thunder” as immense spires of ice break from the Sawyer Glaciers and crash into the sea. Once again, this is an exclusive seasonal excursion that, due to high demand, must be pre-reserved via email only . As this tour has limited capacity we ask that you contact us directly at:alaska_tracyarm@carnival.com, so that we may help coordinate your shore excursion tickets. *If emailing for mutliple Booking #'s, please provide exact quantity of tickets required for each.